Yes, I know it's a mouthful but The Horse Trainer Website Directory (THTWD) tells the story. 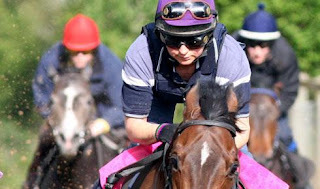 It's a portal to hundreds of horse trainer websites, blogs & twitter links. Please be aware that it is under construction but I bet it has more to offer than any similar model you've seen on the net. When finished, it will be a one-stop shop to everything that gallops. Click the photo (below) to see what all the fuss is about.